A passionate commitment to patient-centered care. It’s what sets our regional health care system apart. What does that mean for you? 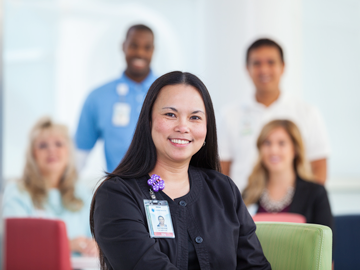 It means that no matter how you come to know us—whether at one of our award-winning hospitals, out in the community or via virtual care—you can count on a team of incredible people who are dedicated to providing patient- and family-centered care of the highest quality. Our award-winning medical facilities are as diverse as their locations—from our flagship academic medical center in metro Greenville to our community hospitals in the quaintest of small towns. But we’re much more than a collection of buildings and staff—we’re neighbors, coworkers, relatives and friends, all living and working in this unique region we call home: eastern North Carolina. Together, we strive to provide a continuum of care for every resident in the 29 counties we serve—an area that makes up a third of the state. Plus, we’re growing fast. In 2015 we broke ground on a new cancer tower, a 418,000-square-foot facility that will serve as the region’s hub for oncology care. Opening is set for 2018.